Everyone experiences negativity sometimes. We have niggling self-doubt, depressed thoughts, frustrations or anger about all kinds of things in our lives. The problem occurs when that little engine of negativity starts racing downhill like a train without brakes. It’s gonna take out anything good in its tracks and be pretty dang hard to turn around once it gets going. I’ll never write as well as Stephen King, so why bother? My family will never support me in my writing/I’m taking time away from my family. I’m too embarrassed to ever let anyone see my work. My writing is always rejected. I’ll never have enough time. No agent will sign me. The momentum of negativity zaps creativity and motivation right outta here. If you go into a writing session, for instance, thinking that this manuscript is just going to be rejected like all your others, how much effort are you really going to put into it? 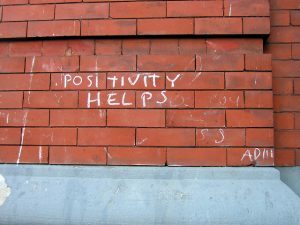 All this negativity usually falls into a few different categories: negativity about your writing, negativity about the writing industry, and negativity about living up to expectations. Depending where your negative train is headed makes all the difference in how you turn it around. When you feel that your writing stinks and will never get any better, just remember this: every writer, no matter how famous now, started in the exact same place you are. New York Times Bestsellers weren’t born with their names on the list. They had to go through the same process you do of dreaming up an idea, drafting it out, editing it, editing it some more, submitting it, getting rejected, submitting it some more. Something that may surprise you, too, is that even famous authors have negative thoughts. Maybe even more so. They have bad days or days when the writing doesn’t flow or when they just can’t get the right words on the page. They worry about whether the current manuscript will live up to the last one or whether fans will be disappointed. The difference is, they don’t allow that negativity to keep them from making a living. There’s always something to complain about regarding the writing industry, and always someone happy to complain, just in case you don’t have enough negativity of your own. The deal is this: the writing industry is hard. But so is becoming a doctor or a lawyer. So is making it to upper management of a big corporation. So is owning your own business. So is being a parent. Sometimes so is just getting out of bed every day! Instead of complaining about how hard something is, though, successful people study it, figure out how to work through the hard parts, and persevere through the tough times. They become informed about what to expect, so they don’t focus only on the potential good parts and then get floored by the not-so-good parts. Expectations, real or imagined, can produce a lot of negativity. Whether they are your outlandish expectations for yourself (I’ll sell my first book for six figures and a movie deal) or the expectations you believe others have for you (my wife expects me to become the next J. K. Rowling while never missing a minute of family time). Goals are great, but setting your own expectations too high can make you feel defeated. Rather than allowing yourself to grow as a writer, your expectations can set you up for failure when you experience the snail’s pace of the industry or repeated rejections as you’re starting out. Feeling pressured by other’s expectations can bring guilt and fear into what should be a fun, creative part of your life. Sometimes that guilt involves making writing a priority when others feel they should be your priority. And sometimes it’s about the fear of being judged by family and friends for what you write or what you think they expect of you as a writer. There are lots of ways to turn around negativity. Give some of these a try and see if you can put yourself in a more positive frame of mind, which is sure to help your creativity! Keep a notebook (or a Pinterest board) of positive writing quotes, or quotes that just make you feel better about writing. Read them often, particularly when feeling down. Read articles by or interviews with writers who have “made it.” They are often full of stories that will make you feel some camaraderie with others who have been right where you are and presevered. When you feel yourself becoming consumed by a particular negative thought, ask yourself, “Can I be 100% certain this is true. ?” I’m pretty sure that most famous writers didn’t start out thinking they would be famous writers. You can’t be 100% certain that you’ll never write as well as Stephen King or J.R.R Tolkien. Are you 100% certain you “don’t have time to write” (or are you really just choosing to spend your time on other things)? Surround yourself with positive writers. If you find that your writing friends just fuel your negativity, it’s time to find different friends. A positive support group can make all the difference. Set realistic expectations of yourself. Talk to other, more experienced writers, and ask them about their paths. Knowing what to expect can help you feel more grounded in reality and less likely to put pressure on yourself. Share this information with family and friends who may have outlandish expectations. Talk about the truth of this career and ask them for the support you need from them. One of Rock Your Writing’s philosophies is, “The only way out is through.” This mantra will get you through a lot of tough times and counteract much of your negative thinking about your writing when it feels too hard or like it’s taking too long. 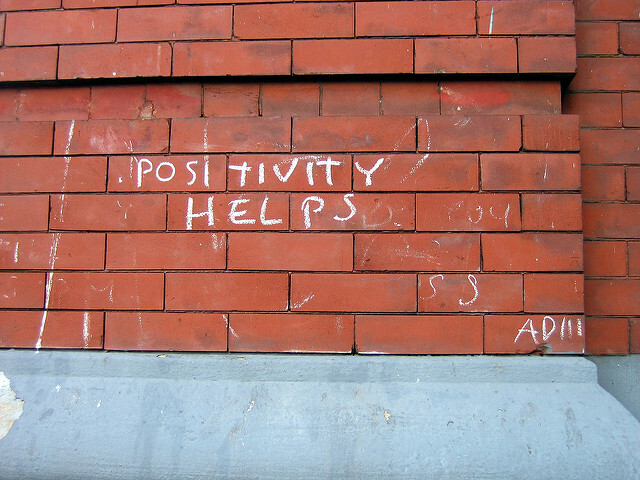 Use some of your negativity to fuel your writing. Who better to create a realistically frustrated character than someone who is experiencing frustration? Build your skills. You can improve your writing by taking courses, hiring a coach, joining a critique group, etc. Most of all, though, you can improve your writing by WRITING. The more you write, not worrying about the end result, the better chance you have of publishing. You’ll never be positive 100% of the time. But whether you wallow or change tactics to beat those negative feelings determines whether you’re a positive writer or a negative one. And which of those writer personas you identify with plays a huge part in your ability to be successful. Next PostNext How to Make Your Writing Memorable.